Innovited makes one of the best headlight kits for the money, sporting 55 W of power, 6000K HID bulbs and lots of interesting features. Wait, did I just say 55 W? Apparently, I did, and this stuff is brighter than your future! 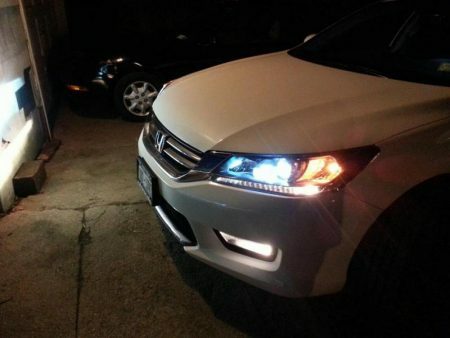 If you are a fan of headlight kits, you know that these bad boys can bring a lot of illumination to your car. So, if you want a nice-looking car, it isn’t just enough to coat it with a black or grey metallic paint- no, no. 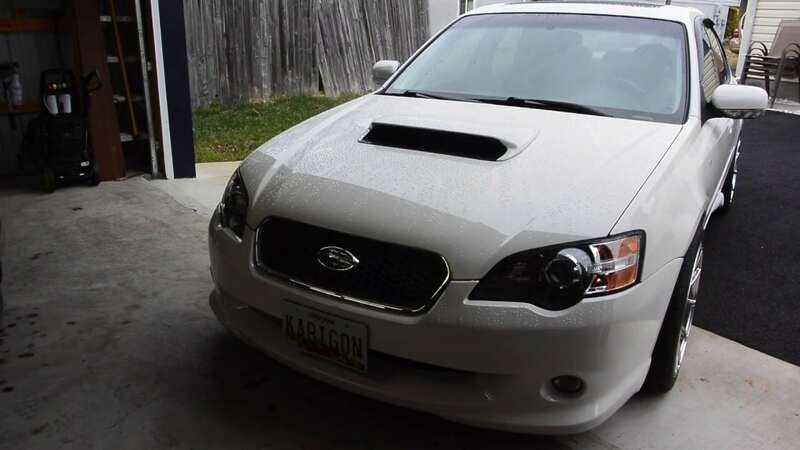 You’ll need a strong set of xenon bulbs to make it just right. 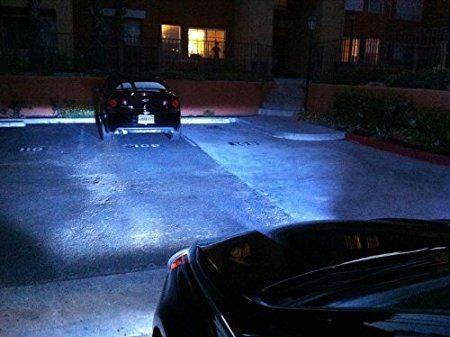 How about Innovited HID Kit? If you’re tired of cheap, budget-oriented solutions that tend to last a few months and then die, you’ve come to the right place. Innovited is here to bring you a long-lasting quality, at a relatively affordable price of $99.99. It may sound expensive, but once we get into features, you’ll see why this Kit is so good and preferred by many HID kits enthusiast. Today’s topic is our comprehensive review of Innovited HID Kit. I think it’s the time to learn a thing or two about this product. What makes the Innovited Kit special? Some of you may be fans of LED kits, but let me tell you something. When it comes to the power efficiency and the overall light intensity, HID bulbs are simply untouchable. Innovited made sure that these HID beauties are packed tightly in a black, shiny box with a beautiful Innovited logo on it. I had to wipe my saliva before I opened it, though. Inside the box, I found 9006 bulbs, which is exactly the model I’m using for my car. The great thing about this kit is that it supports every bulb size out there, so you might wanna check the availability now. Back to the topic, you’ll find 2 “slim” ballasts in the box, coupled with insulated wires and an instruction sheet. Unlike some cheap and simple HID headlight kits, this one has a useful instructions sheet, thank God! I managed to install this kit in no more than 25 minutes, which is still a great time, considering I’m not a professional. When I turned them on, I immediately saw why they are so expensive. If you think 35 W kits are powerful, you should check this one! 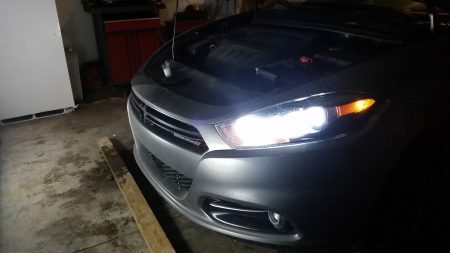 Another great thing about these HID bulbs is the plastic and rubber gasket, which function is to ensure that they are sitting tight and to protect them from dust and humid. You can pretty much see that these bulbs are 100% waterproof and dustproof and that’s pretty, pretty wonderful! If you are satisfied with the waterproof bulbs, you’ll be glad to notice that ballast is also waterproof! And no, this isn’t some kind of bad joke. 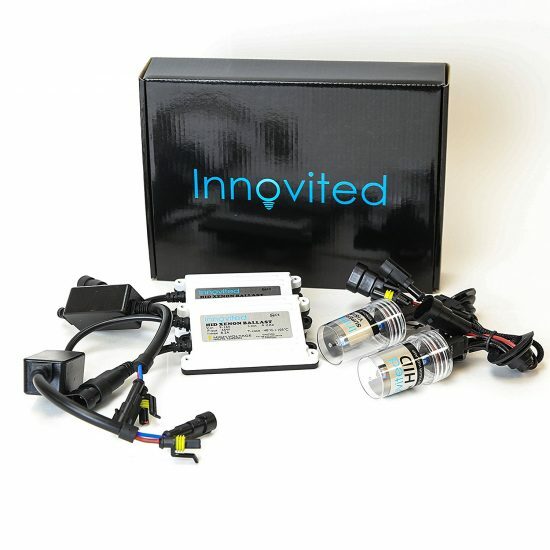 Innovited HID Kit really has one of the best-built ballasts I’ve ever seen. It has a rubber sealant which promises to protect it from dust and water. At astonishing 1.75 pounds, it’s quite fascinating how Innovited managed to pack some great features and durable material for both the bulbs and ballasts. Innovited also stated that the service life of this kit is around 229 days, and considering you won’t keep it on 24/7, it’s a pretty good number. Furthermore, we have a choice of several different colors, making this product even more varied and worth your money. The basic version is white and it comes with 6000K of color temperature. If you decide for the other colors, you can check 30000K deep blue, which is my favorite. There are, however, other color variants and you can pretty much get everything from green, red, yellowish, etc. When it comes to the features, Innovited was pretty generous. You simply can’t find a more generous offer at this price. Innovited HID Kit features 55 W HID Xenon bulbs that aim to produce a staggering amount of luminance. HID bulbs are here to give you a maximum performance at a low energy cost. If you need a strong, durable headlight kit, Innovited made sure that both the bulbs and ballasts are completely waterproof and dustproof. The kit is all but robust and heavy. Its compactness is great for transporting it and installing it in your car with ease. With its 229 days (5500 hours) of service life, this kit aims to for a long-lasting solution for your car. Innovited HID Kit comes in a palette of colors, making it varied and more versatile than ever. They are supported by almost any car out there, due to the huge choice of size, including 9006, H1, H11, H13, etc. HID bulbs located in this kit are amongst the best I’ve seen. With their 55W of sheer power, forget about black sections ahead of your car. I quite like the compactness that this kit haves with it. You won’t find any heavy parts and everything is small and sweet. Two ballasts that are here are waterproof, which is really a unique feature. These components are one of the best I’ve ever seen in a headlight kit. Innovited HID kit provides a reliable lighting for your car, boasting a high-quality insulation and waterproof/dustproof characteristics. You can buy whichever bulb size you want. Innovited HID Kit is supported by almost any car out there! Finally, the price-to-performance ratio is simply amazing. You’ll pay a tad more, but you get what you pay for. This isn’t a plug & play kit, so you’ll still need some experience to get it installed. The price might be too high for some users. Have in mind that this isn’t a low-tier kit. If you’ve used several headlight kits, you probably know what you’re doing. In this case, you want to steer away from the budget solutions and try something a little more expensive. That something you can find in our guide for the best hid headlight kits. This kitt is just what you need- an affordable, yet powerful headlight kit that provides a penetrating light thanks to its amazing HID bulbs. The main thing to remember is that we are talking about a 55 W headlight kit, so you can expect slightly higher energy requirements and much higher level of luminance when compared to standard 35 W kits. With its dustproof and waterproof characteristics, Innovited HID Kit is going to give you an edge when it comes to driving across various terrains. Furthermore, there are tons of different sizes and colors, tailored especially for your vehicle. But, if you are a beginner and don’t need an advanced kit like this, you can probably get away with buying a cheaper kit. Have in mind that this is one of the best performers in this price range!